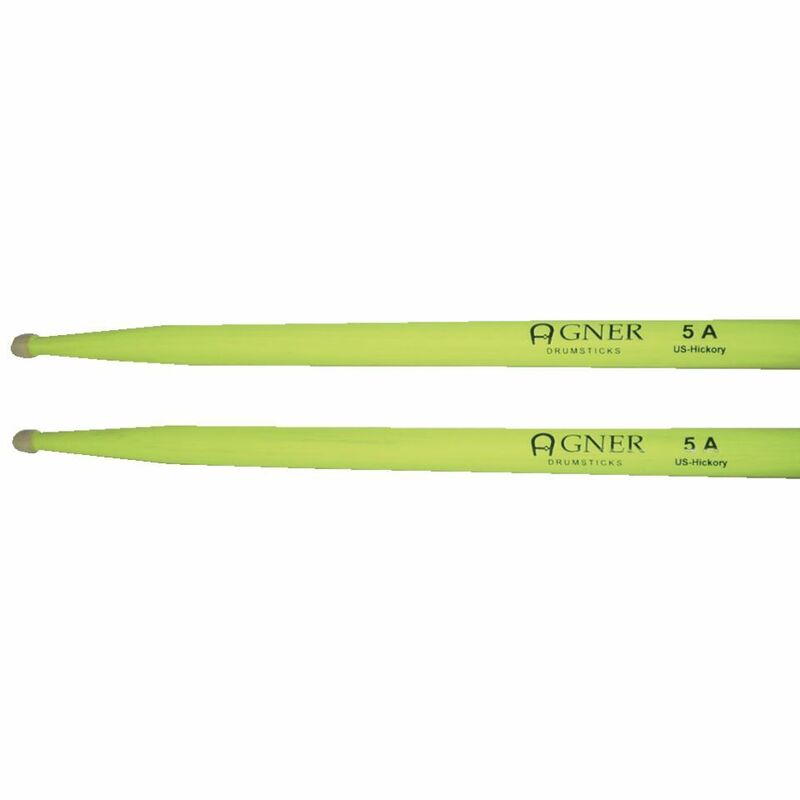 The Agner 5A Glow Sticks Hickory Luminous Drum Sticks are fluorescent coated drumsticks that glow in the dark, for the ultimate nightclub drumming experience. The sticks hold a maximum of 30 minutes of charge and need nothing more than a few minutes of light to recharge them. 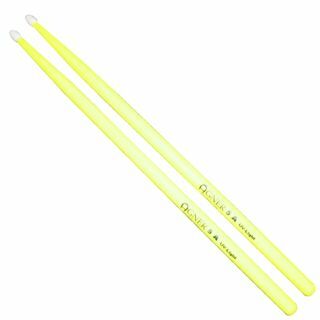 Underneath the party exterior, the Glow Sticks are professional Hickory drumsticks made to the standard 5A size, with a length of 406 mm (16”) and a diameter of 14.5mm. This pair of sticks is great if you want to give a show on low to no light gigs, but lacks on durability. While they look awesome, the paint comes out easily while playing, leaving the drumsticks half-painted. Shouldnt be used as your main pair, specially if you like to hit your cymbals hard. Otherwise a good pair of sticks, they seem light and fast (which is good for solos).